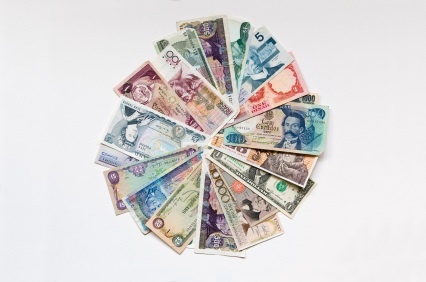 Connecting the World: A wallet full of euros, pesos, hong kong dollars? A wallet full of euros, pesos, hong kong dollars? Getting ready to return home from anywhere outside your home country may find your wallet full of the local currency. Often you don’t know when you’ll be back to use it. What to do? Hold on to it and hope to use it on the next trip? Exchange it for your own currency at the airport and end up taking a loss? Chris Young the Chief of Protocol of the State of Georgia and President of Protocol & Diplomacy International – the Protocol Officers Association (www.protocolinternational.org) who travels hundreds of thousands of miles each year suggested a solution in his weekly e-mail to PDI-POA members. His recommendation was use the cash to pay part of your hotel bill, reducing what goes on the credit card. Practical. Easy. Another idea is to pay cash the day before departure for items that you might otherwise pay with a credit card. For example, I often pay for meals that last day with currency. Whatever your approach be sure to keep enough to cover transportation to the airport, some snacks, a magazine, maybe those last minute gifts, plus an allowance for an emergency. Flight delayed? Need another meal, a tip to someone who helped you? With a little planning you can return with only a few euros, peso, hong kong dollars that you can put aside for the next trip – maybe just enough for a cab ride to your hotel when you return. How Do You Say Please?